Island product merchandising increases same product, same store sales. 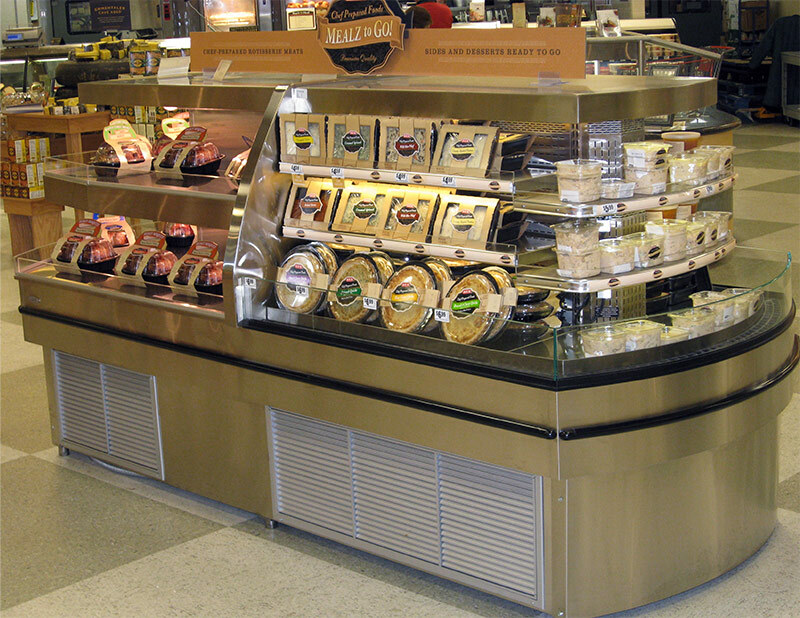 The MDI-HCI takes this premise to the next level by combining both hot and cold foods on the same merchandiser. 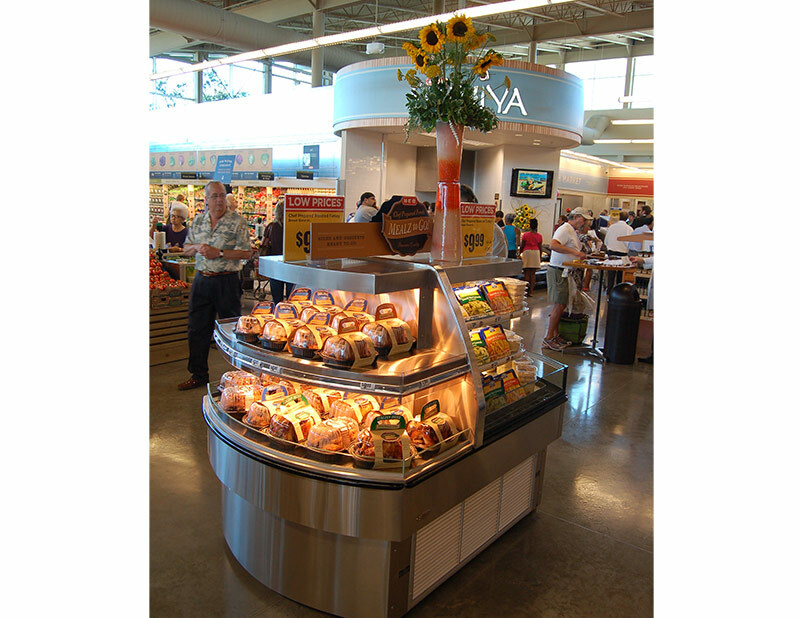 When used to display hot entrees and cold side items, the MDI-HCI becomes an instant total meals solution center. 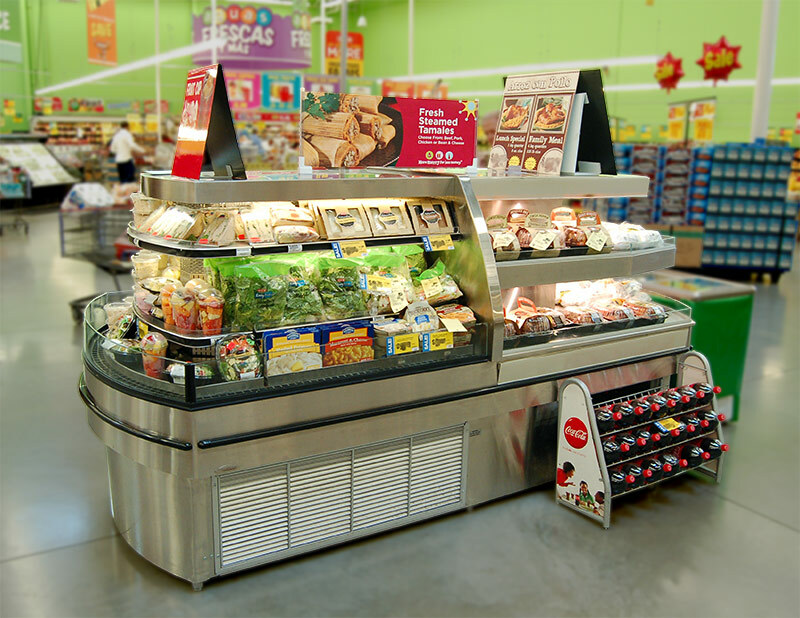 The MDI-HCI can be utilized throughout the store, for either cross-merchandising opportunities, or to just take advantage of high traffic patterns. It is available in a 6’ or 9’ configuration, and is suitable for deli, salads, sandwiches, prepared foods, grab-n-go, hot items, and beverages.